Writing your own novel or short story and publishing it to the world can be very scary, especially for a newbie. Should that be enough to stop you writing your own story? The simple answer is no. It is easy to wish to do something but the question is are you willing to actually try and potentially fail? For most people, that fear of failure holds themselves back from doing what they want to do. Instead, the self doubt leads to hiding behind excuses. ‘I wish I knew what to write about but I just don’t have any ideas.’ – I don’t think my ideas are ever good enough and I haven’t spent any real effort looking to build any new ideas. ‘I want to make sure I am fully ready when I publish, I want it to be perfect!’ – I am afraid of what people might say, what if they think I’m a bad writer. ‘I have so much I want to write, I don’t even know where to start.’ – I can’t focus that well and would rather hope that if I write a lot maybe people won’t notice that it’s not that good. The first main problem here is you are not defined by the book you write. Yes a book can change your life and do wonderful things for you but it doesn’t have to define who you are. After all you can always write another book or move on to other projects. More importantly, your book is what you want it to be, yes it can be scary but it allows you to express yourself in story form with all of the crazy ideas you come up with. The second main problem is approaching this mammoth of a task all by yourself. With any difficult task, always get other people to help you and give you feedback. Trying to do everything by yourself just extends the process, moreover what you don’t realise is glaring mistake could have been easily spotted had you just asked someone. 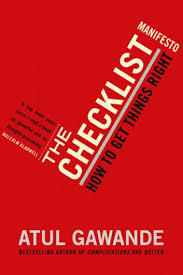 As Atul Gewande wrote in The Checklist Manifesto, “Man is fallible, but maybe men are less so.” Relying on yourself also adds more pressure, as you have no one to keep you motivated or to maintain a positive feedback loop. The third main problem is the process of getting started and getting that ball rolling. To start off with, read this very short yet highly useful article, how to write a book. Idea of the book – what is it going to be about? What is the core message? Can’t think of an idea, get a notebook and jot down any idea when it comes to you. Read more books and articles to get ideas that you can build on. Why reinvent the wheel, if you could just make adjustments to one already? The more ideas you can absorb from other people, the easier it is to start coming up with your own. As Austin Kleon says, ‘steal like an artist‘. The journey of the book – if you are writing a story then the plot, if you are writing a non-fiction then a progression of ideas. This is a very important step, it’s easy to get distracted and start to wander in your writing. Have a plan and stick to it, only deviate when you know it’s worth it. Get an editor who isn’t afraid of correcting every little detail. Research – talk to people to find out more, go read up on stuff. Fact check what you do. The richer the research the more likely it is to connect with people. A great example of this is Malcolm Gladwell. Get writing! You’ll be surprised at how easily this step is missed. A lot of people have great ideas but the trouble is those ideas never blossom because it wasn’t acted on. My recommendation is to have daily regular practice and stick to it. Look at B.J. Fogg a behavioural psychologist at Stanford University. He mentions how making a tiny habit that you can succeed helps build momentum to keep you going. Be patient, you don’t need to rush but you should have a deadline to keep pushing you. This is when you need supportive people around you. Try to find a friend or colleague who can keep you mentally sane, when you feel like you’re going mad. 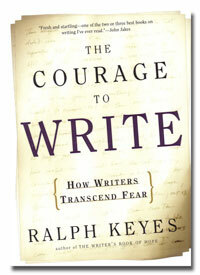 To see more on getting past your fear on writing check out, The Courage to Write (1995) – Ralph Keyes. Another key point to consider when writing a book is publishing it. You can either choose to self publish or get published by a major publisher. The table below shows you some ups and downs of both options, if you want more information on this, go to The Creative Penn by Joanna Penn (British author, also her podcast is wealth of knowledge). Harder to get recognition and awards etc. Easier to become an authority in your field, more awards etc. If you have been thinking about writing a book, I would say ask yourself why. What is the real reason you want to get a book out there? Whatever your answer is, own it. If your reason is to get famous, cool that will impact how you write and who you write for. If your answer is because you just have to share your idea with the world. Again cool, you will more likely be coming from a raw authentic point of view which will of course impact who gets your book. The key here is, your book is your way of communicating your message or story. Treat as such. As I said earlier, you don’t have to be defined by the book you write but you should at least own it, even if you think it’s bad. Not everyone can write a book even if they wanted to (for so many different reasons), but if you are one of those who does want to and will, then what are you waiting for? Avoid having a fixed mindset and thinking you need to have certain traits to become an author. To be an author, you need to publish a book. Yes that sounds simple, but at the heart, that’s what makes someone an author. Writing like an author takes practice, so pick up the pen and get writing. Having the growth mindset will help you realise that your skills as a writer can and with time will be developed. Last but certainly not least, you don’t need to look far for inspiration, Fatima wrote her own book. The girl I know from work has an actual published book. Go and get her short book, you can probably read it in a single sitting but I would space it out, just so you can enjoy it more. It goes to show, that with time and effort if you set your mind to it then it is only a matter of when and not if. 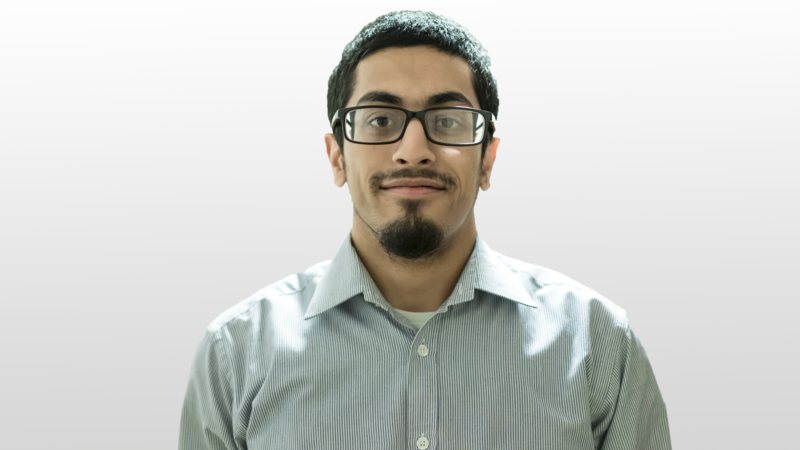 Adil helps students to break down their barriers in order to improve in Maths by taking a step by step approach. Check out his articles and methods in Inside Guide to Success.